Beatrix Potter’s Tale of Squirrel Nutkin leaves little doubt that red squirrels are an important icon of the English Lake District – something people associate with this area and expect to see when they visit. Cumbria is one of the few mainland counties in England still to have red squirrels – it would be a tragic waste of this natural asset to let our red squirrels die out, which is what will happen if we don’t take action to protect them. The recently restored red squirrel populations at Allan Bank and Aira Force are proving to be great tourist attractions. We want to see this benefit extended to more and more South Lakeland businesses – reds sell beds! 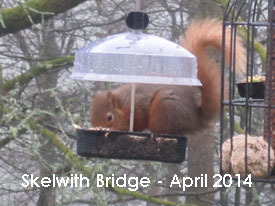 We hear the delight when visitors report to us that they’ve spotted a red squirrel, often the first they’ve ever seen. 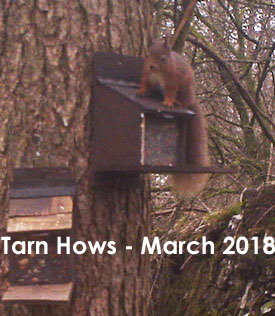 We know that what we’re doing works – for example, red squirrels are now being seen again in Windermere and the Troutbeck valley after an absence of many years. We’ve managed this by raising money from donations and memberships and some generous grant funding. But grant funders favour new, short-term projects, not the ongoing work that’s now necessary in our case. 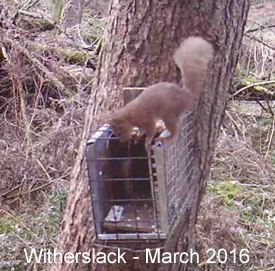 This is why we’re asking local businesses for their help to keep our red squirrels thriving. We have no premises and we keep our overheads to an absolute minimum. Volunteers carry out all the administration and management for our charity, meaning almost all the money we raise can go directly on protecting red squirrels. Corporate membership is available for £50, and is included for those businesses sponsoring us for larger amounts. If your business can help us to keep Cumbria red, please get in touch>> and we’d be delighted to arrange a meeting to explain in more detail. We’d also like to hear from you if your business, or one that you know, can host one of our charity collection boxes or display our publicity.